We are thrilled to announce that Jasoorah has sold to Inga Applequist of Rosecrest Arabians in California. 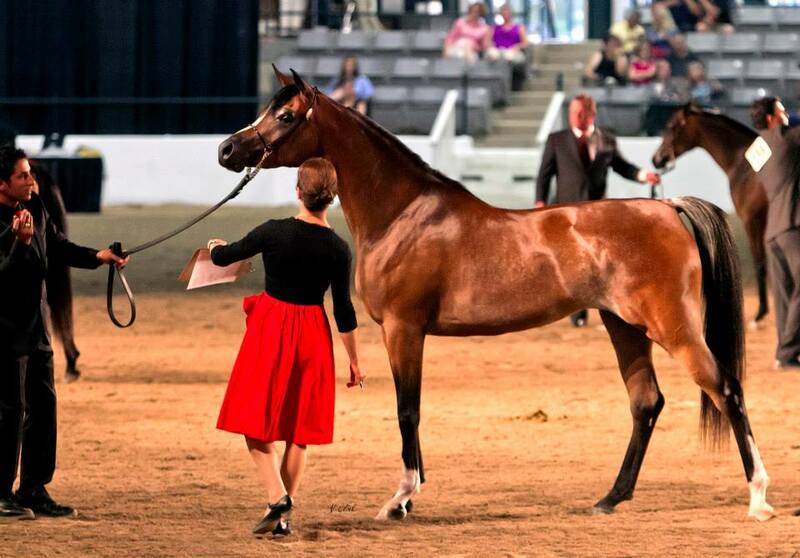 After winning at the 2013 Egyptian Event many people wanted this lovely filly for their own. 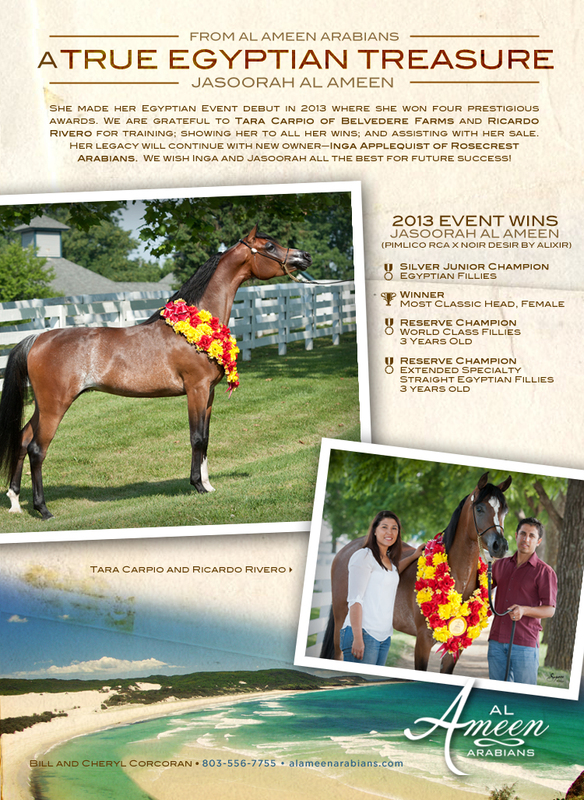 Many thanks to Ricardo Rivero and Tara Carpio for assistance with the sale. We are excited to see Jasoorah grow in her show career and as a brood mare. Jasoorah Al Ameen Wins at the 2013 Egyptian Event! 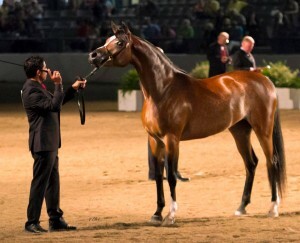 Every year Straight Egyptians from all over the world come to the Kentucky Horse Park in early June to compete. 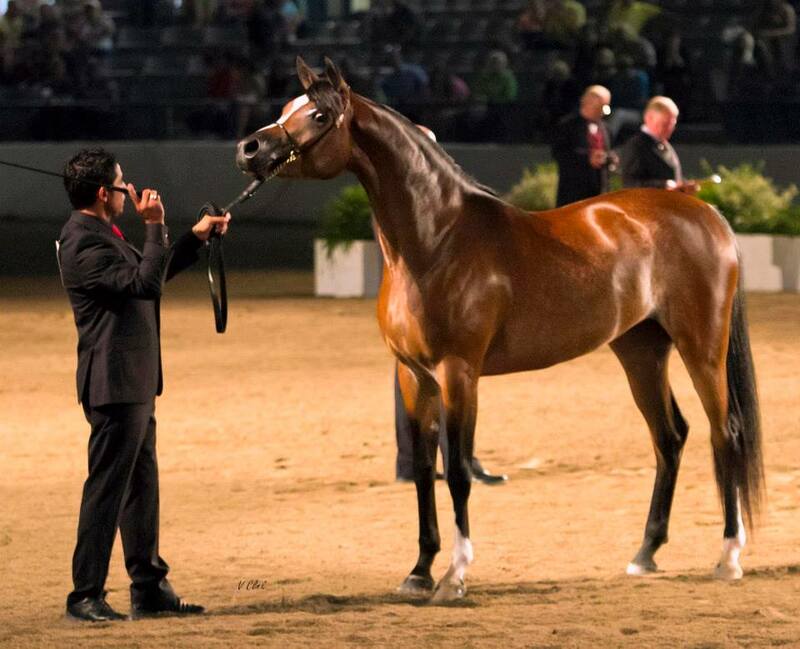 This year we are very proud to announce that our very own Jasoorah Al Ameen (Pimlico RCA x Noir Desir by Alixir) won Most Classic Head; Reserve Champion in World Class Fillies and The Extended Futurities; and was crowned the 2013 Silver Champion Junior Filly for the show! We are thrilled and grateful to Belvedere Farm’s Tara Carpio who trained Jasoorah and her staff for caring for her every need and to Ricardo Rivero who showed her to the win. 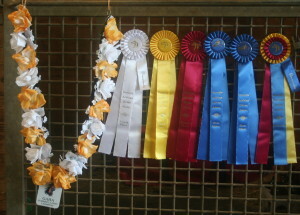 Small breeders can make a splash at the big shows and we just proved it! Come for a visit and meet this incredible breed of horse. We know you will fall in love too! 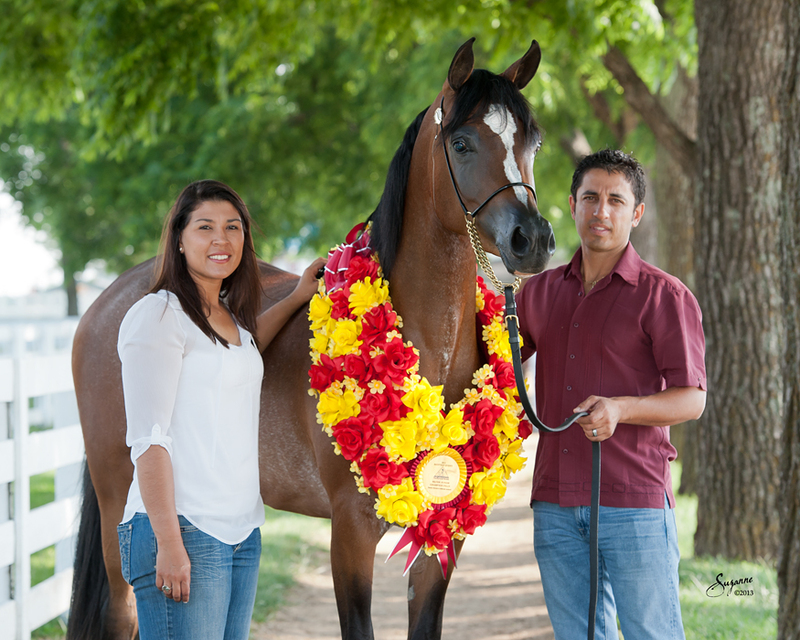 Our handsome gelding El Razeel (Rascal) competed in his first event ever during the Western Carolina Arabian Horse Show in April, 2013. 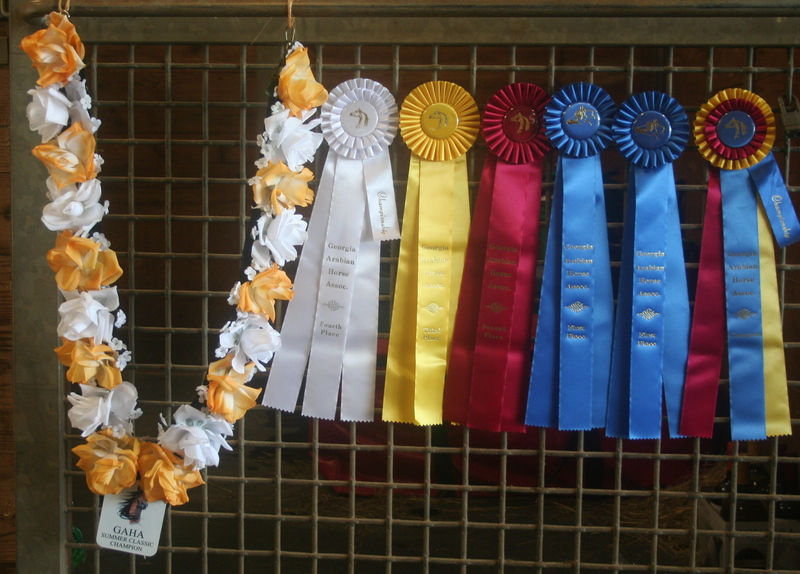 Rascal has been training hard and it all paid off when he took the blue ribbons and the division championship in Intro Level Dressage. 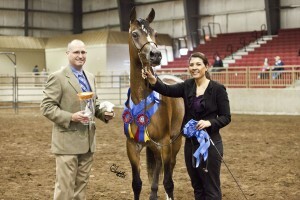 Winning in Intro Levels A, B and C, Rascal was ridden to the win by his companion and trainer, Vanessa Koper-Hanscom. Many thanks to Vanessa for her dedication to teaching Rascal and showing the world that Egyptian Arabians can rock the Dressage ring! 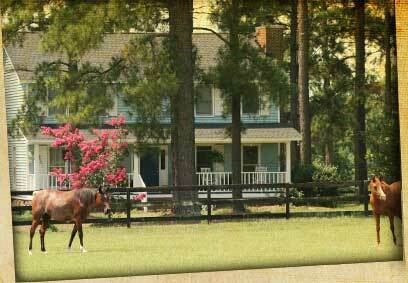 Rascal is working to conquer the next level of Dressage – Training Level. Look for him at the 2013 fall WCAHA show. Rascal is available for purchase. He is a big boy, loves his work, and could be your next win in the ring. Interested parties please give us a call or an email. 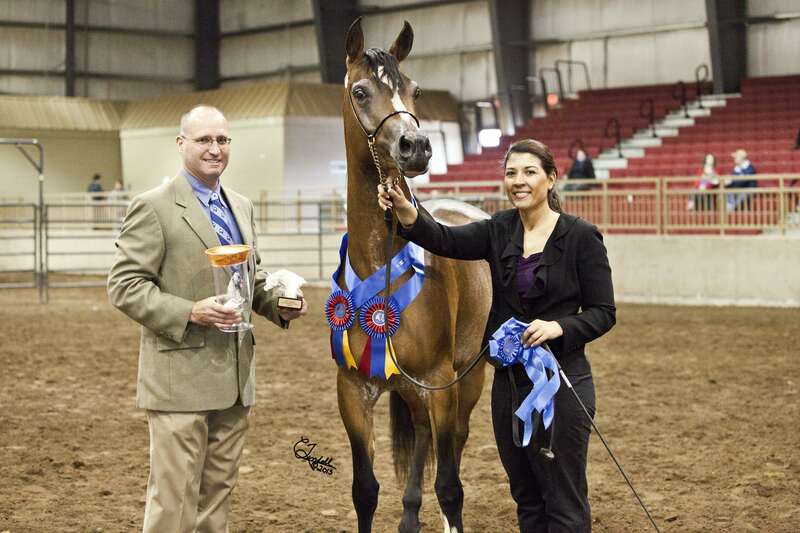 At the end of March, 2013, our lovely filly, Jasoorah, competed at her first show and won not only the Straight Egyptian halter classes, but also won the Open Halter classes bringing home the blue ribbons and the championship! Jesse, as we call her, is a big, bold, fluent moving gal with incredible Arabian presence. Thanks goes out to Tara Carpio of Belvedere Farms for training and showing her in her first show and to her first win. Next stop is the Egyptian Event coming up in June. 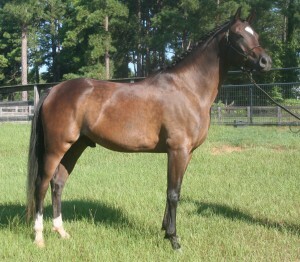 She will be shown in the Extended Specialty 3-year old Fillies Class. 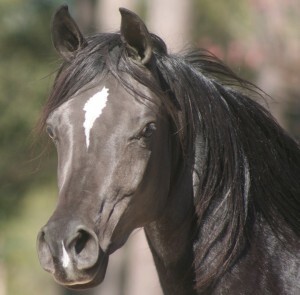 Jesse is sired by Pimlico RCA out of our black Alixir mare, Noir Desir. 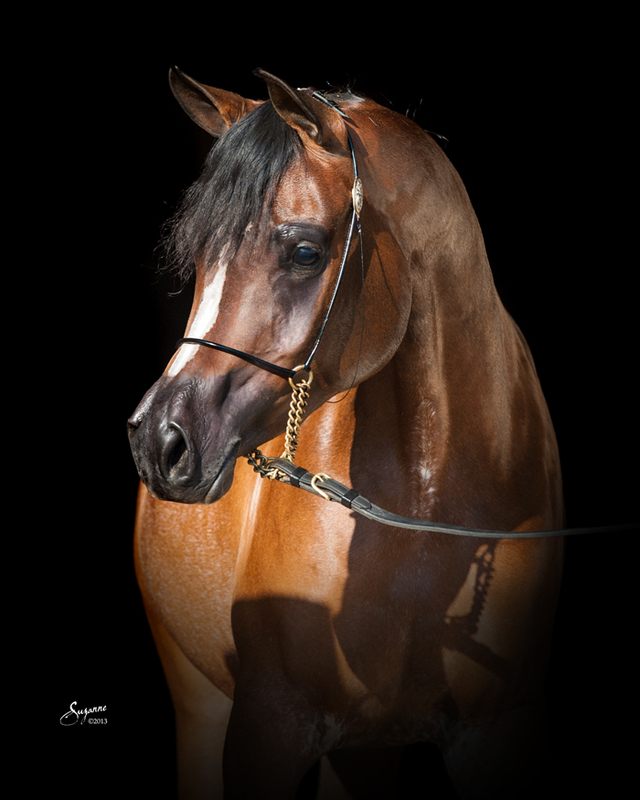 If you are looking for a foundation mare to start your breeding program and a definite show girl, Jasoorah Al Ameen has it all. Interested parties please give us a call or email. 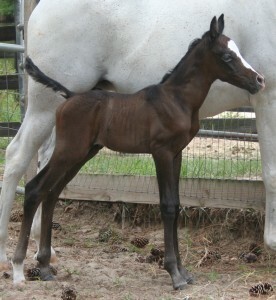 August 25th 2011 is not only my daughter’s 20th birthday but it is also the birthday of our latest foal here at Al Ameen. Our wonderful mare, Gazaala, presented us with a fabulous colt early this morning. The little man arrived at 6:45 am and promptly began to show us that he is important, smart, and doesn’t need to be taught anything–he’s got it, thank you very much! Sired by the majestic Ansata Qasim of the legendary Ansata Arabian Stud & Highview Egyptian Stud, this colt is royal indeed. 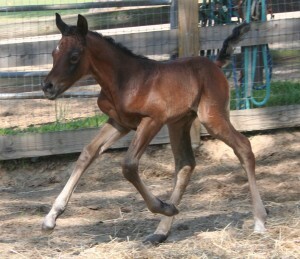 Mom and son are doing well in their mare-ternity suite here on the farm and we are wildly excited about his future! 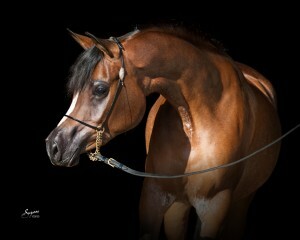 2011 has been the year of the boys for Al Ameen Arabians and we couldn’t have asked for a more fantastic lineup! It’s Raining Men – Hallelujah!! On Saturday morning, 4/23 Dafiinah MCE (Thee Infidel x Masira Bay) delivered a big, substantial colt by the handsome stallion Mishaal HP. 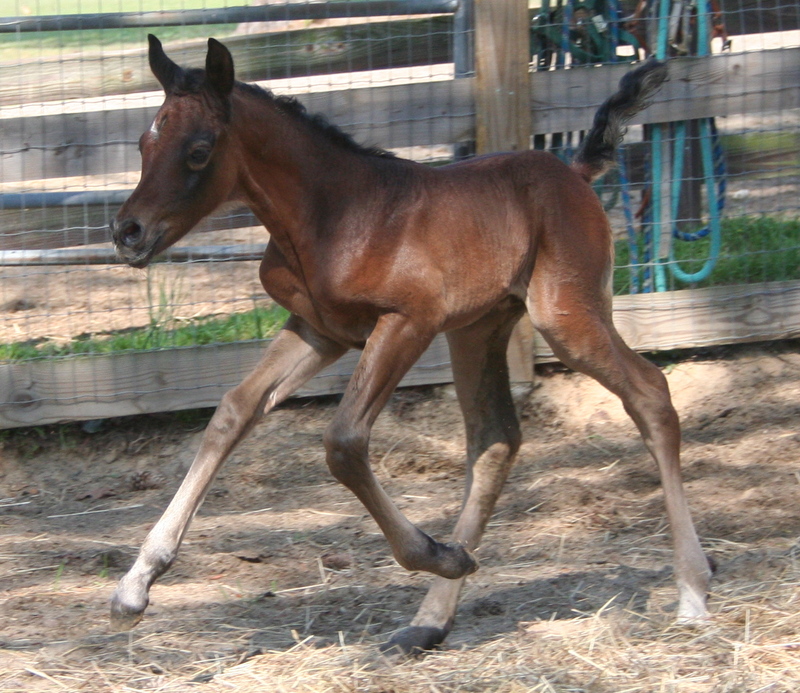 Strikingly handsome the newest man to arrive at Al Ameen Arabians is spunky and not afraid of chasing down what he wants—milk from mom or a butterfly across the paddock!! We congratulate Debbie and David Myers of Gardensgate Plantation on the newest addition to their herd. It’s raining men here at Al Ameen and we love it! !